My very first foray into the kitchen was baking Christmas cookies with my mom. I never helped out in the kitchen as a kid, except the month of December when sugar & butter abounded. 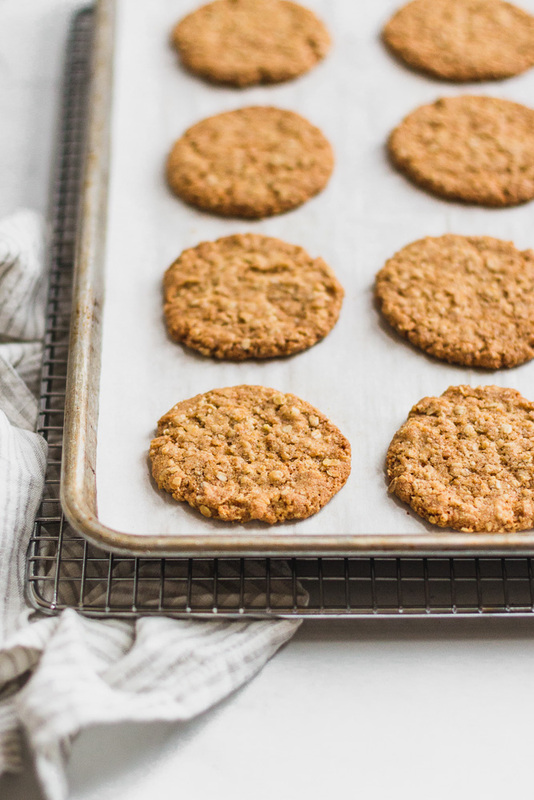 I started helping with smaller tasks like chopping pecans & shaping the cookies. 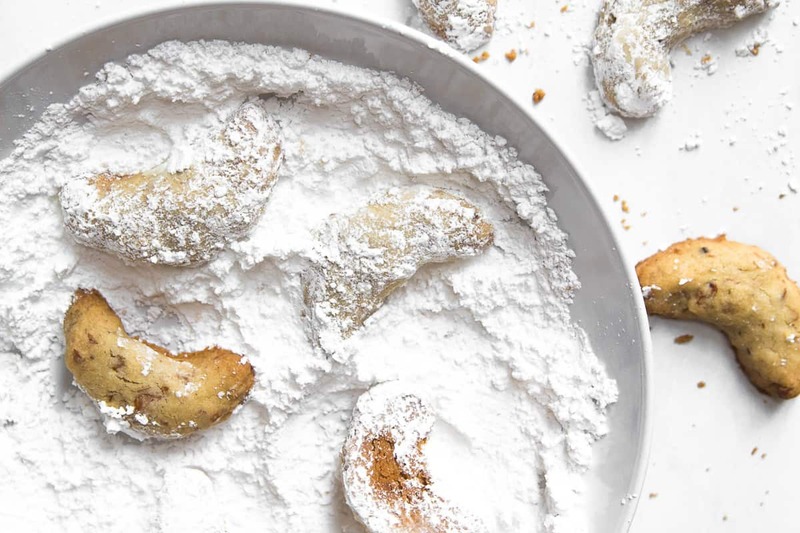 As I got older, I graduated to measuring the ingredients by myself and making the cookie doughs…. 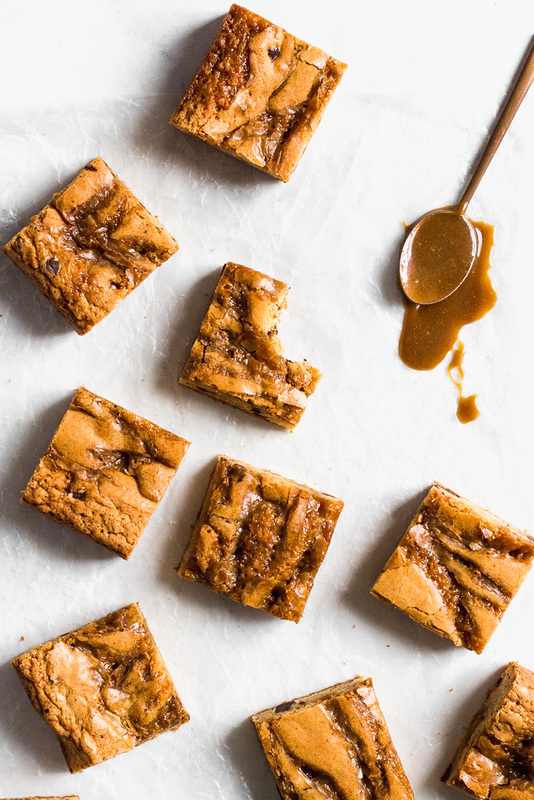 These bourbon butterscotch blondies are a combination of so many things that I love. I watched this season’s British Bake-Off premiere last week & was blown away by the talent per usual. This year the bakers jumped right into biscuit week. Rid your mind of fluffy buttery American style biscuits. 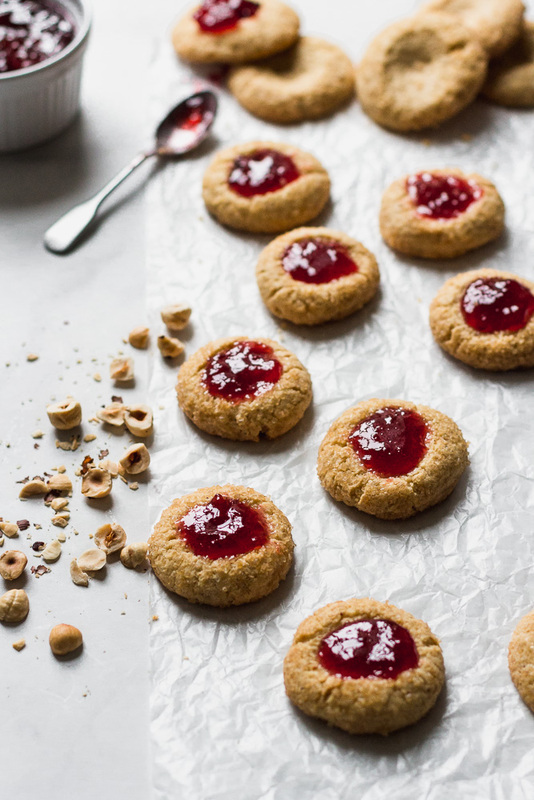 These are British biscuits, or hard cookies (think shortbread or Biscoff cookies). British biscuits are always crunchy & oft enjoyed with a cup of tea for dunking. 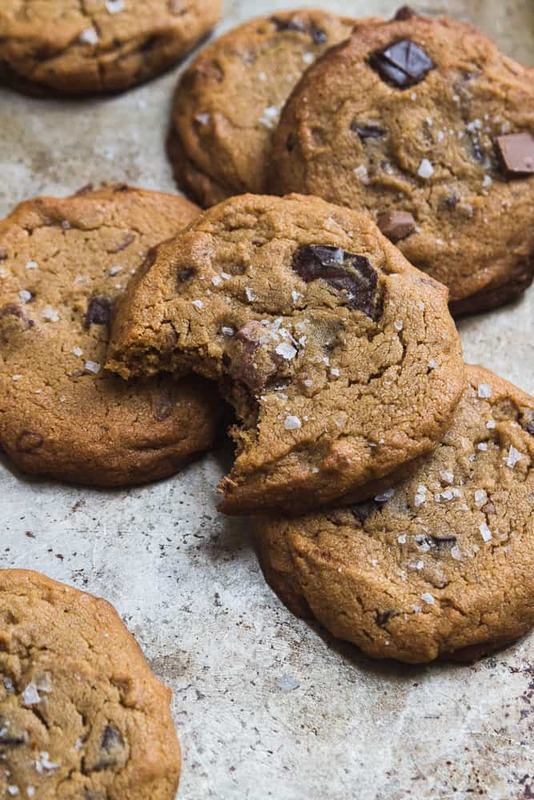 These chewy peanut butter chocolate chunk cookies are good. Really, really good. They’re made with salted, natural peanut butter and chunks of milk and dark chocolate. They’re simple to make but feel special enough for an occasion. In fact, last Sunday they served as my husband’s ‘birthday cake’. 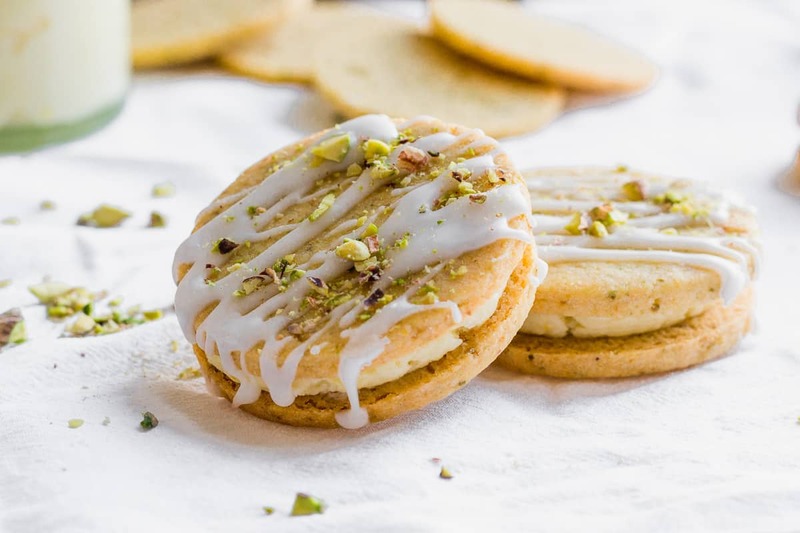 These pistachio and lemon cream sandwich cookies are helping me bridge the gap between winter and spring. I am a cookie person. 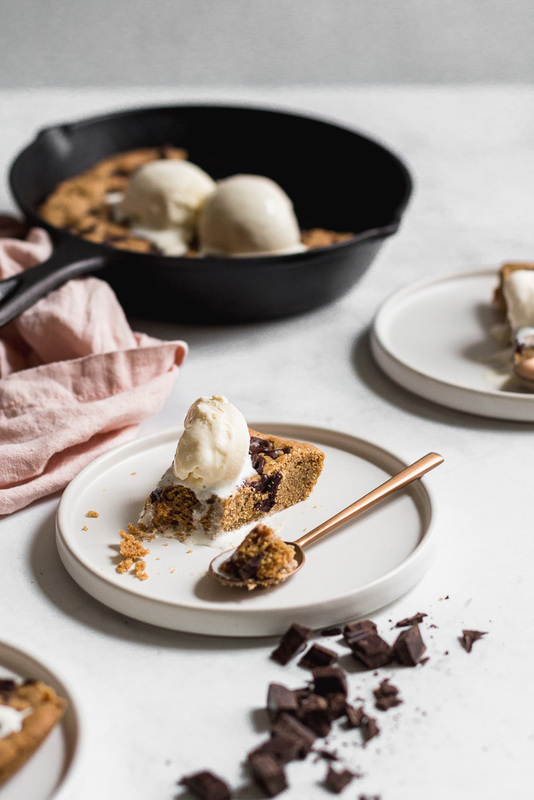 I’m happier with a good salted chocolate chip or peanut butter cookie than with the poshest dessert you could dream up.